Baiocchi Griffin Private Wealth’s Private Client Service provides investment management services to individuals and their families. 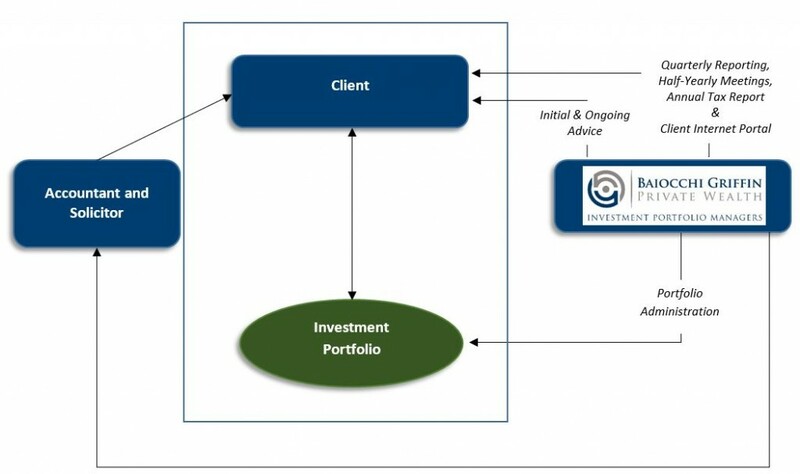 This service is based on the ongoing provision of tailored investment management strategies, taking into account our client’s background, goals, objectives and risk profile. An important component of this service is ongoing communication between the firm and our clients, through regular portfolio review meetings, frequent correspondence, investment briefings and quarterly investment reports.